Aeration involves perforating the soil with small holes to allow air, water and nutrients to penetrate the grass roots. This helps the roots grow deeply and produce a stronger, more vigorous lawn. The main reason for aerating is to alleviate soil compaction. Compacted soils have too many solid particles in a certain volume or space, which prevents proper circulation of air, water and nutrients within the soil..
Over time, little bits and pieces of grass die and gather just above the soil. This is called thatch. A little bit of thatch can be beneficial. It’s organic material that is broken down by microbes in the soil. But sometimes, thatch builds up too fast for natural processes to break it down. It forms a barrier, keeping moisture and air from going where your grass needs it. ½ an inch or more of thatch can weaken your lawn. Our team will create a detailed plan for your property with selections for plant material, hardscape materials, outdoor lighting, landscape structures, and more. Landscape designs are always seamlessly tied to the home style with a masterful eco-friendly and water-wise yet inviting plant palette. Treating your lawn prior to the emergence of crabgrass is the best way to prevent it from ever occurring. Keep your lawn looking healthy and vibrant this year with organic methods that you can feel good about. Our mid spring organic fertilizer refreshes your lawn and prepares it for the increased traffic and sunlight of the summer months. On Long Island our lawns can stay green until pretty late in the calendar year keep you lawn looking healthy and prepare it for the harsh winter conditions with our fall fartilizing program. Living on Long Island we have to keep a vigilant effort up to reduce ticks that carry lyme disease from making homes in our yards. Our organic flea and tick control programs will keep your family and your pests as safe as possible. Cutting & Trimming – We cut lawns to promote thick and healthy growth, trim overgrown areas and edge the perimeter of your turf. 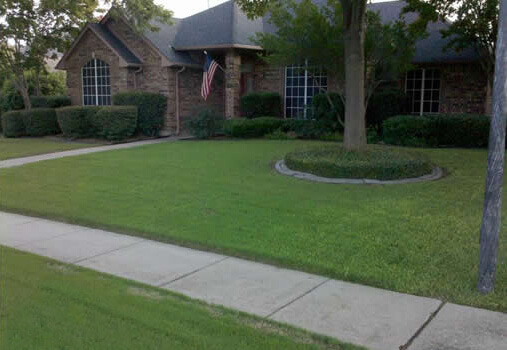 We use specific techniques that improve the health of your lawn such as a 3-3.5 inch cutting height to retain water and shade out weeds. We always use sharp blades to prevent tearing and we mulch and leave the clippings, which replenish nitrogen, moisture, and promote deep root growth as well as germination. Spring and Fall Cleaning – As seasons change, we are ready to help you with preparing your gardens for harsh winters, planting in the spring, as well as collecting all of the leaves on your property in the fall. Shrub Trimming – Our certified arborists prune and shape shrubs, remove dead, weak, and diseased branches to improve condition, safety, appearance, and growth. We specialize in a safe and chemical free immediate removal of hazardous-to-the-touch poison ivy, poison oak, and poison sumac. 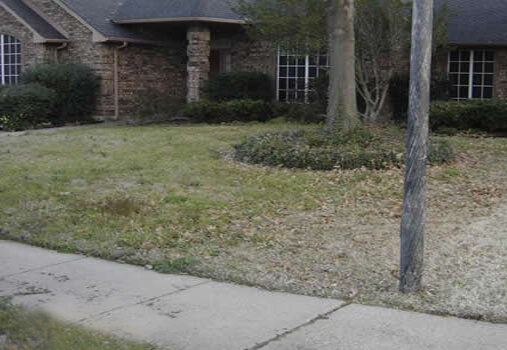 We also remove all other forms of invasive or poisonous weeds that are either hard to control or to eradicate. We SAFELY remove all known forms of hazardous or poisonous-to-the-touch plants from all properties. We do not resort to using harmful chemical sprays or toxic herbicides.